Calling all health buffs, athletes, families, and running enthusiasts—it’s the running season once more! 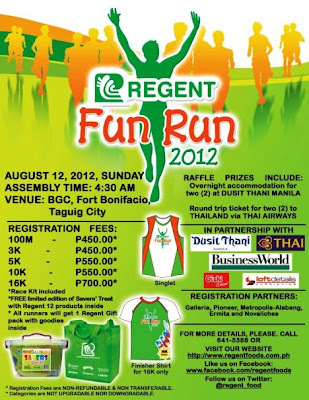 Regent Foods Corporation is inviting everyone, from kids to adults, to join its 24th anniversary run on August 12 at the Fort Global City, Taguig. Regent Foods’ 24th Anniversary Run features running category divisions for all ages: 100m for toddlers and kids until 12 years old, 3K, 5K, 10k and 16K races. Entry fees are P450 (100m and 3K), P550 (5K and 10K) and P700 (16K). 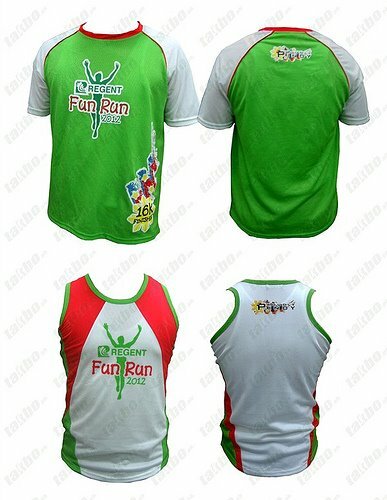 The fees are inclusive of special edition Fun Run Saver’s treat canister with 13 Regent products, to be given upon registration. 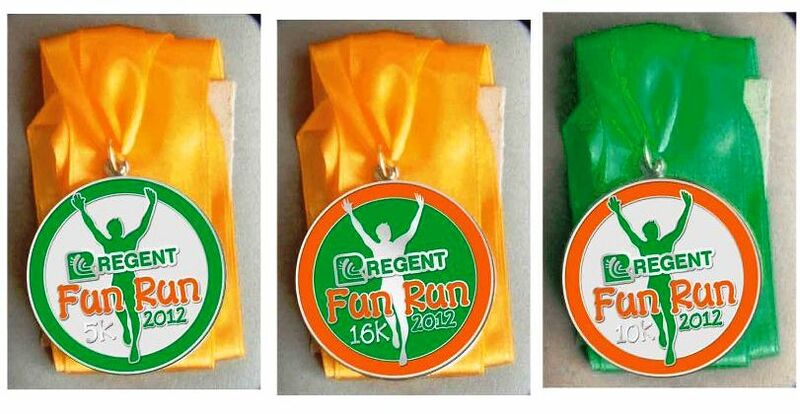 5K, 10K and 16K runners also get a finisher’s medal and 16k finisher will get a finisher’s shirt. Special Edition Saver's Treat with 13 different flavors. Runners will get these Yummy Snacks Food food. 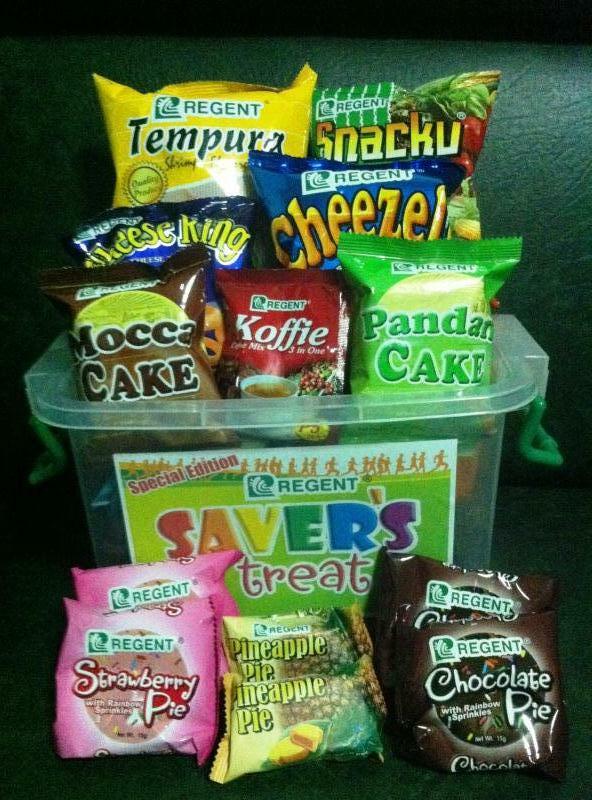 As a bonus, Regent Foods is also putting Regent Foods Gift packs up for grabs at the end of the run. 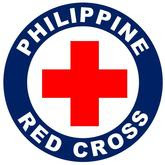 Participants also get the chance to win raffle prizes including a roundtrip ticket to Thailand via Thai Airways, overnight accommodation at the Dusit Thani Hotel and many more.